Registration is a free service provided by the Kenya Embassy in Berlin for citizens who are visiting or living in Germany, Bulgaria and Romania. Registration allows us to have information about you that can help in case of emergencies or if we need to contact you. It also enables us to build a database for various statistical purposes. Millions of Kenyans who travel or reside abroad are able to do so without much difficulty. 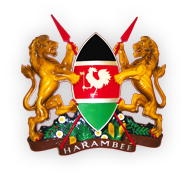 The Kenya embassies and consulates endeavour to maintain contact with the Kenyan population abroad and also assist persons, who are victims of distress, crime, accident, illness, or whose family and friends need to contact them in emergency. When an emergency happens, or if disaster, terrorism or civil unrest strikes during your stay abroad the embassy or consulate can be your source of assistance or information. Consular officers process applications for Kenyan documents, legalise foreign documents for use in Kenya, process and issue passports, and register children born abroad. Although consular officers cannot act as your legal counsel or representative, they can provide contacts of local authorities that can provide assistance. Registration is voluntary and free of charge; it should therefore be a big part of your residence and travel plans. Registration is NOT considered proof of Kenya citizenship. If you apply for any consular services, you may be asked by the consular staff to provide proof of citizenship such as passport or identity card. The Embassy of Kenya is committed to ensuring that any personal information received pursuant to the registration process, whether in person or otherwise, is safeguarded against unauthorised disclosure. The data that you provide is subject to the provisions of the Official Secrets Act. This means that the information will not be disclosed to any third party unless you have given us written permission to do so, or unless the disclosure is otherwise needed to assist in the evacuation or provision of emergency service, law enforcement, administration purposes or pursuant to court order.